Botulinum toxin treatment Botox ® – Like many medications, Botulinum toxin is developed from a protein which occurs in nature. The FDA has approved Botulinum toxin treatment for specific indications such as frown lines, crows feet lines, after years of clinical study and experience. It is a safe temporary solution almost anyone who is is troubled by such lines and wrinkles. Provided below are some of the common questions and answers regarding this treatment. These questions are to provide information and in no way intended to replace a consultation. Botox® is the brand name for the original and most popular botulinum toxin treatment. Botox is an FDA-approved treatment for the temporary relaxation of overactive muscles. A spin-off of its original use in spasticity was that it smoothed out frown lines. Botulinum toxin treatment causes temporary blocking of nerve signals to muscles. So those expression lines that occur when we use our facial muscles will look softer once the treatment has reached full effect. In the upper face, vertical frown “eleven” lines between eyebrows, “crow’s feet” lines at the corners of the eyes which are distressing to patients, are approved indications for treatment with botulinum. Botulinum is also used to improve lower face expression lines, such as a downturned “mouth frown” and prominent neck lines. Botox® injections are given using very fine tiny needles, usually no numbing is required. However when a large number of injections are required, such as for treatment of excessive sweating with botulinum toxin, numbing cream is applied prior to treatment. Does Botox treatment have side effects? if injected above the outer half of eyebrows, can cause the eyebrows to be heavy. if injected too close to the upper eyelid or rubbed inadvertently causing migrate into the eyelid muscle, it can cause a droopy eyelid. There are reports of side effects caused by distant migration of botulinum toxin, including weakness of swallowing. However, the current understanding is that when the total amount of toxin used is kept to the minimum required for effect, used after prudent medical consultation and understanding of the depth of injection and muscles being treated, Botox is a safe treatment in the right hands. What happens if I get a droopy eyelid after Botox treatment? In the unfortunate event that you develop a droopy eyelid after treatment with Botox, you must contact your treatment provider immediately. At Reverse Time, this will be the physician who treated you. They will look into possible causes of this that could have occurred during treatment. However, it is often due to migration of the Botox into the eyelid elevation muscle because of rubbing, pressure from helmets and goggles or other lapses in aftercare. You will then be reviewed and your eyelid response to Iopidine (apraclonidine) eyedrops will be assessed. This is a test for whether a small eyelid lifting muscle has been affected by Botox. If Iopidine relieves the droopy eyelid for a span of 2-3 hours, then you could use this following your physician’s advise until the effect of Botox wears off or weakens. It is important to remember that all side effects of the Botox itself are temporary, and will be reversed over the duration of effect of the toxin, that is 10-12 weeks. Will I get a heavy eyebrow after Botox treatment for my frown lines? Unfortunately, there is a risk of getting a heavy eyebrow when the horizontal forehead wrinkles are treated overzealously with Botox. To understand why this happens, we must understand how the vertical and horizontal forehead lines are formed, when they occur with expression. Vertical “11” lines are caused by the depressor muscles (which pull the eyebrows down and inwards) and the horizontal lines when you raise your eyebrows are caused by the frontalis muscle which acts to pull the eyebrows up and outwards. It follows that for a good balanced result with Botox treatment, one has to accept a trade-off between the depressors and elevator action. Trying to “freeze” all the horizontal lines in the forehead with Botox will inevitably cause inability to raise the brows. Often this will be noted by patients as being unable to apply their eye makeup or mascara without manually lifting their eyebrows using a finger. During consultation for Botox treatment, experienced injectors will ask you details of how your previous treatments with Botox or other botulinum toxin such as Azzalure went, did you have any side effects, heavy brows, droopy lids. This is important to understand how you respond and tailor a good Botox treatment for you. Is there any downtime for Botox treatment? The first 2 weeks are crucial to botulinum toxin treatment producing a satisfactory outcome. Immediately after treatment, the needle marks may be visible. These will fade over the next day. There is no downtime. Visible results become noticed in 10-14 days after Botox treatment. Will Botox on the crows feet lines affect my smile? This question is not only about Botox treatment, but about the science and philosophy of expression and emotion. On the surface it may seem the right thing to do to remove those smile lines that pop up at the corners of our eyes when we smile, especially since drug companies decided to call them by the ugly term “crow’s feet” – I call them smilies. But is it really the right thing in terms of facial expression as a whole? Probably not. A term in popular psychology is the “Pan Am Smile” named after the friendly but forced smile that was trained into the Pan Am flight crews when greeting people as part of their “great customer service” image. Today, some may refer to it as the courtesy smile which is polite but superficial. French physician Guillaume Duchenne (1806-1875) researched the smile in great detail in 1862. His findings revealed that an artificial smile used only the large muscles on each side of the face, the zygomatic major, while a genuine smile, induced by a joke, involved the muscles running through the eyes, obicularis oculi, as well. The resulting effect is a visible wrinkling around the corners of the eyes that lies outside voluntary control. You really can’t help a happy smile smile – it just bursts upon your face! Remember, these lines appear with smiling, but don’t leave creases unless your skin is deteriorating due to pile-up of dead cells or photo-aging (sun-damage). In research circles, a genuine smile is still known as a ‘Duchenne Smile’ while a fake smile is a ‘Pan Am Smile’ after the air hostesses in the defunct airline’s adverts. Science has actually proven this to be true – In the late 1950s, 141 female students at Mills College in California agreed to a long-term psychological study. Over the next 50 years they provided reports on their health, marriage, family life, careers and happiness. In 2001 two psychologists at Berkeley examined their college yearbook photos and noticed a rough 50/50 split between those showing a Duchenne or Pan Am smile. On revisiting the data it was found that those with a Duchenne smile were significantly more likely to have married and stayed married, and to have been both happier and healthier throughout their lives. We now know the “Pan am smile” as the “Botox smile” because the rest of the face smiles but nothing happens around the eyes. When we say treat “crow’s feet” with botox, what we mean is that we are injecting botox into the orbicularis oculi to make it more difficult to scrunch it – something one needs to to be able to do when protecting the eyes by squinting, squeezing eyes tight shut, etc. So your expressions do affect your emotions, and vice versa – another reason not to focus just on the lines, but on the face and person as a whole! This answer is assuming that the question refers to the wrinkle relaxing effect of Botox in facial treatment, such as frown lines. The maximum effect is reached in about 2 weeks. Your facial expression will become more relaxed but by no means mask like. The overall effect is very natural if a well balanced treatment is done. The effect of treatment generally lasts for 3 months. You will notice a steady fading of its effects. Re-treatment is then required. Is it true that having Botox treatment will prevent wrinkles from forming? Some patients have overactive or “hyperdynamic” muscles, particularly the frown muscles causing vertical frown lines. If they do not relax these muscles, they will ultimately develop “static” lines which cannot be completely treated with Botox. These patients, if treated with Botox before they form static lines, will have effectively prevented them from forming. So for this group of patients, it is true that Botox will prevent some static lines from forming. This is the mechanism by which this wrinkle-prevention benefit is achieved, it is not by any specific quality of Botox treatment in itself. What if I choose not to continue treatments with Botox? 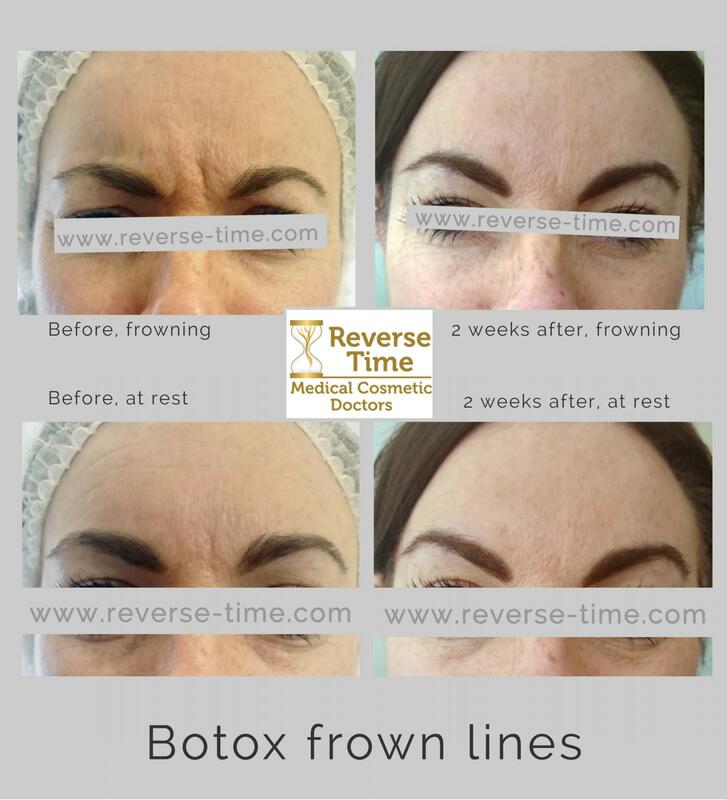 We are often asked by patients if they will get worse lines than before if they discontinue treatments with Botox. We can strongly reassure them that this is not the case. If you do not continue treatments with Botox®, the areas which you had treated will gradually look like they did before treatment. Can Botox stop working for me? There are some reasons why Botox may not produce the expected results in some patients. One interesting cause is that of developing resistance to Botox®: This is possible if you develop antibodies against the toxin. Higher doses (not in cosmetic treatments) and too frequent treatments can increase this risk. There are possible solutions to resistance. This can be discussed during the consultation with the practitioner. Another cause is inappropriate use of Botox, for example using Botox to treat wrinkles that are NOT due to muscle contraction. Patients whose skin is deteriorated from sun damage have wrinkles that are due to skin quality being poor. They will also have pigmentation along the skin fold lines. These will not respond satisfactorily to Botox. For such skin aging, resurfacing and rejuvenation such as Chemical Peels, retinoids will be necessary. A third cause that is becoming more common is overuse of Botox and other botulinum toxins causing Muscle atrophy or wasting. Just like any unused muscle weakens over time, weakening facial expression muscles with Botox repeatedly will result altered muscle dynamics over time. Can I get an allergic reaction to Botox? There have been no reported cases of true allergic reaction to Botox. This is based on the existing literature. Is there any reason I cannot have Botox? Generally, if the patient is aged over 18 years and presents with a reasonable indication that will benefit from treatment with botulinum toxin such as Botox. There are a few restrictions, such as for pregnant or breastfeeding women. The effect of botulinum on these patient groups is un-tested. It would be unethical to offer Botox for cosmetic treatment to patients who are pregnant or breastfeeding. Botox is contra-indicated for people with certain medical conditions, such as myasthenia gravis which causes weakness of muscles. People on specific medical treatments including Aminoglycoside antibiotics cannot have this treatment. All these restrictions can be discussed in the consultation with our practitioner. I had Botox before. Why do I need a consultation again? It is unfortunate that we are seeing more patients who have had treatment with botox without proper consultation and sometimes even for the wrong indication. For instance there have been patients who developed double vision following botox injection but continued to have the area of treatment that was causing this side effect. At Reverse Time we feel that it is essential to approach each patient from the ground up. 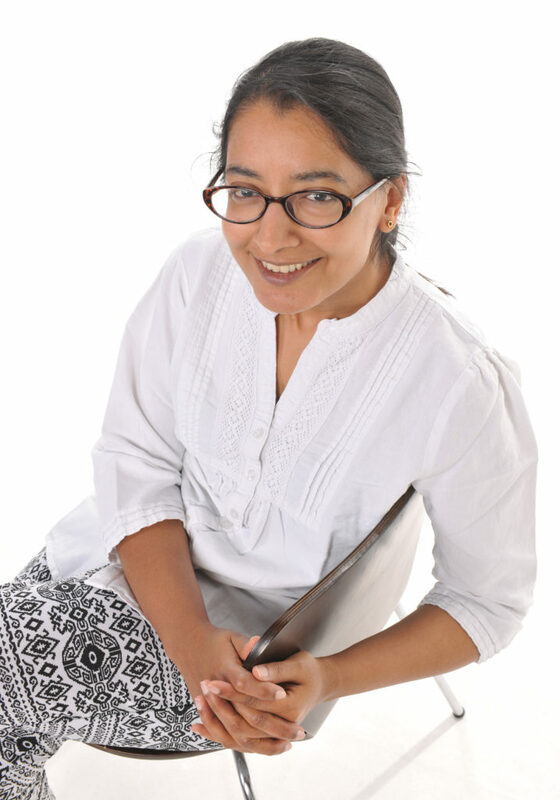 During your consultation our practitioner will carry out a medical assessment, answer your queries and will discuss what your expectations from the treatment are. Following the consultation, a cooling period is offered and recommended and an appointment for treatment will be booked. Why must I answer medical questions just for wrinkle treatment with Botox? Medical history is vitally important for any medical treatment. This includes non-surgical cosmetic treatments such as botulinum toxin (Botox, Azzalure, Bocouture) injections, dermal fillers (Restylane, Juvederm, Belotero, Radiesse), thread lifts (Silhouette Soft, PDO) and many other treatments which are currently being treated as beauty treatments, but they are not. A history of previous side effects such as double vision, heavy brows, droopy lids after Botox will inform your aesthetic physician about how you will respond to a treatment. Detailed assessment and record of your muscle activity during expression (frown, eyelid opening and closure, smile, brow raise) will inform how to personalise your botox treatment to give you a safe and sustainable outcome. Any previous surgical treatment to your facial muscles, such as blepharoplasty (eyelid surgery), facelifts, non-surgical treatments like thread lifts, may impact the results of muscle relaxing treatment with botox. Tell your Doctor or Nurse about all your medical conditions, including if you have: plans to have surgery; had surgery on your face; weakness of forehead muscles, such as trouble raising your eyebrows; drooping eyelids; any other abnormal facial change; are pregnant or plan to become pregnant (It is not known if Botox® can harm your unborn baby); are breast-feeding or plan to breastfeed (It is not known if Botox® passes into breast milk). We often think expression lines are wrinkles, but that is not true. Expression lines are the visible muscle movements of a normal face – such as “laugh lines” at the corners of our eyes, concentration lines between the eyebrows, and smile lines on cheeks. Wrinkles are lines that persist as furrows and creases even with relaxed facial muscles, ie, no expression. Untreated habitual expression lines like a constant frown can deepen, and crease into a static wrinkle as collagen and fat are lost from the skin. In the same way, even a deep set wrinkle, with correct treatment can reduce into a fine line making it much less apparent. Did you know that botulinum toxin treatment has a history extending over 200 years? As far back as in 1822, Dr Justinius Kerner, a German doctor, suggested that we may be able to reduce hyperhidrosis (excessive sweating) by injections of botulinum toxin. As you know, we now regularly treat sweaty underarms with Botulinum toxin (Botox®). In the USA, clinics started treating patients with strabismus (squint) due to overactive eye muscles, with botulinum toxin (Botox®) after 1965. Alan Scott, an American, was an early user of Botox in the treatment of the eye area. Allergan, the American manufacturer of Botulinum toxin (Botox®) applied for and was granted approval to market the drug by the US Federal Drugs Agency. Botulinum toxin (Botox®) is now registered and used in over 90 countries around the world. Other brands of botulinum toxin are also available in the UK, namely type A variants Azzalure, Bocouture, Dysport, Vistabel and Xeomin plus type B variant Neurobloc. In 1987, Dr Jean Carruthers, a Canadian ophthalmologist, achieved the next significant knowledge development regarding botulinum toxin. While she treated her patients suffering from blepharospasm with Botulinum toxin (Botox®), Dr. Carruthers observed that her patients had less crow’s feet lines as a “side-effect” of this treatment. Along with her husband, a Consultant Dermatologist, (skin specialist), Dr Carruthers carried out clinical trials to assess whether the treatment was effective for this purpose. Botulinum toxin is the most popular non-surgical wrinkle reduction treatment in the UK as well as the USA. Botulinum toxin (Botox®) is now licensed by the regulatory authorities in the U.S. and the UK for the treatment of glabellar lines and wrinkles as well as crows feet lines. Some of our more popular brands of Botulinum Toxin Type A include the list below. Botulinum Toxins have been used in Aesthetic Practices for many years and is very safe. They are still a very relevant treatment; they reduce the appearance of dynamic lines around the forehead and eye area. Injection technique is extremely important and it is essential that appropriate training is carried out.